Daniel P. Jeffery, CFP® has over 27 years’ experience in the financial services industry. Dan is a Financial Planner who is affiliated with Best Times Financial Planning (BTFP). BTFP is a group of wealth preservation specialists who have unparalleled experience in wealth management, business continuity, and sophisticated wealth transfer strategies. Dan and his team help clients make well informed financial decisions by providing them with sound advice in the areas of retirement, investment, and estate/asset preservation planning delivered through a client-driven process. Dan holds the CERTIFIED FINANCIAL PLANNER™ certification through the American College. He is a member of the Financial Planning Association (FPA). Dan’s broker Dealer is Lincoln Financial Advisers. It is recognized as an FPA alliance firm for its commitment to professionalism in financial planning. And the key to Dan’s value proposition for his clients is the one essential element-personal service. The true value of your financial planning is measured by the service you receive AFTER your financial plan is implemented. Dan joined Best Times Financial Planning in 2015 to continue his progress toward providing that incredible experience he aims to deliver to every family he works with. 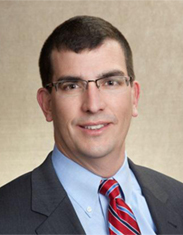 He joined Lincoln Financial Advisors in 2006 to be part of a team that helps business owners and families transfer and accumulate wealth through business and personal financial planning. Dan has worked in the insurance and financial services industry since 1991 as a representative for both national and regional companies. Prior to joining Lincoln Financial Advisors/Sagemark Consulting, he owned an employee benefits agency in Syracuse, working closely with business owners and executives to design programs that met their unique benefit needs. Dan is active in the community serving on the Board of Directors for the Financial Planning Assoc. of Central New York and as a board member for the Cavalry Club in Manlius, NY and is an active member of the National Ski Patrol at Labrador Mountain. He is a former President of the George Wortley Foundation, former President of Auxiliary to Upstate Medical University and former Big Brother for the Big Brothers Big Sisters of Onondaga County. Dan graduated from SUNY Plattsburgh with a BS in Business Management and resides in Manlius with his wife and their two children.